Where would Valentine’s Day be without the written word? From Cyrano de Bergerac and his behind-the-scenes whispers, to Ned Flanders serenading his late wife dressed as a giant heart, the articulation of love is key to the celebration. The oldest poem written in the spirit of St Valentine dates back to the 15th century. Yet surprisingly, the circumstances surrounding its creation were pretty bleak. This tale of romance and intrigue centres on Charles, duc d’Orléans (Duke of Orléans, a city in north-central France). Born into privilege in 1394, he was a prince as well as a poet. He was also caught up in key historical events. 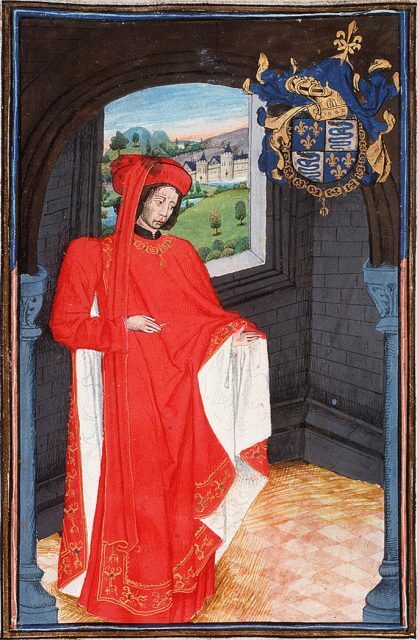 Charles 1st of Orléan dressed as Knight of the Order Of The Golden Fleece. Charles’s life was marked by wealth and woe. He gained the title of Duke after his father Louis I was killed by the Burgundian faction, who battled bloodily against the Armagnac party in the name of John the Fearless (Duke of Burgundy). Manuscript in the hand of Charles of Orléans. List of Lords authorized to carry his order. London, March 8, 1438. Aged 21, Charles was fighting at Agincourt as part of the conflict between the Kingdoms of France and England. He was seized by the enemy, “Pulled from under a heap of bodies on the battlefield.” Then England beckoned. Charles was shipped to the land of his enemy as a spoil of war. Adding to the stress of this was unfinished business of a personal nature. His 12-year-old brother Jean d’Angoulême had also been sent to England. Now the Duke would be following in those humiliating footsteps. 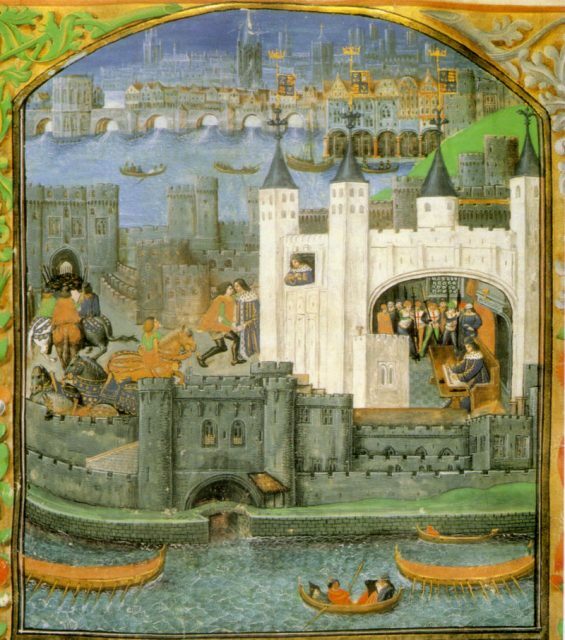 A depiction of Charles’ imprisonment in the Tower of London from an illuminated manuscript of his poems. Charles saw a lot more of the hated country than he expected, albeit not as a free man. His remained there for no less than a quarter of a century. Certainly time for a man to think. 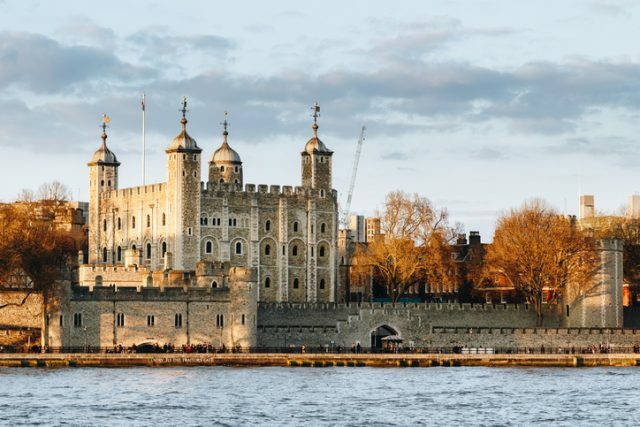 Whilst imprisoned in the Tower of London, he composed what’s believed to be the earliest example of a Valentine’s Day poem. Intended for his wife (he had three during the course of his life), the piece is titled A Farewell To Love. Bearing in mind his situation, Charles could be excused from taking the traditional loved-up route. 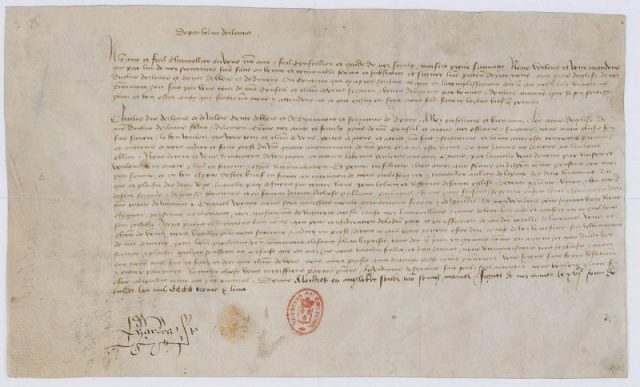 Letter of Charles duc D’orléans, prisoner in England since the Battle Of Agincourt, addressed on July 16, 1438 to the ecclesiastics living on his estates to ask them to lend him the income from their profits for a year, in order to help finance his release. 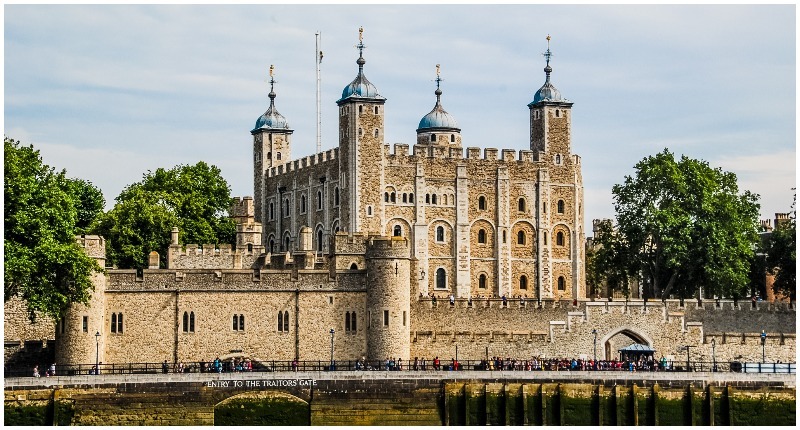 The truth behind A Farewell To Love is it was written in the Tower, though Charles spent the vast majority of his time in England at the house of Sir Richard Waller. Waller was a fellow noble and the pair reportedly struck up a friendship. 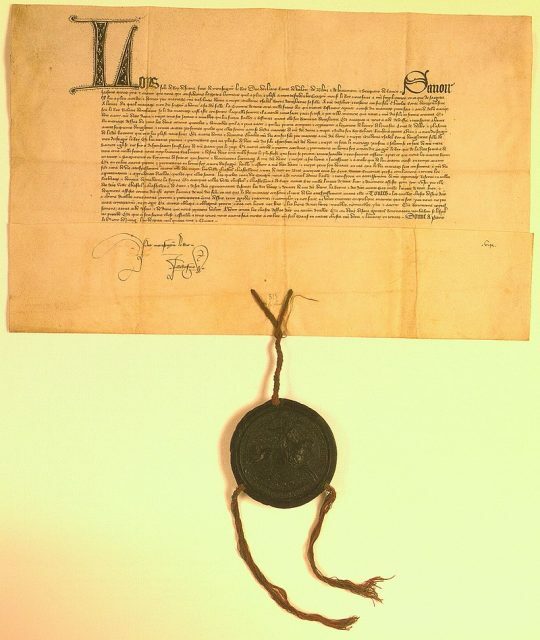 A charter of duke Louis I concerning the marriage of his son Charles with Isabella of Valois. Before his release in 1440, at the age of 46, he composed the bulk of his poetic works. Clearly while his liberty had been removed, his mind was free. A condition of his being returned to France was that he not take revenge for the death of his father. Perhaps all that poetry had calmed his soul, for he saw out the remainder of his days as a patron of the arts. He passed away at the age of 71.